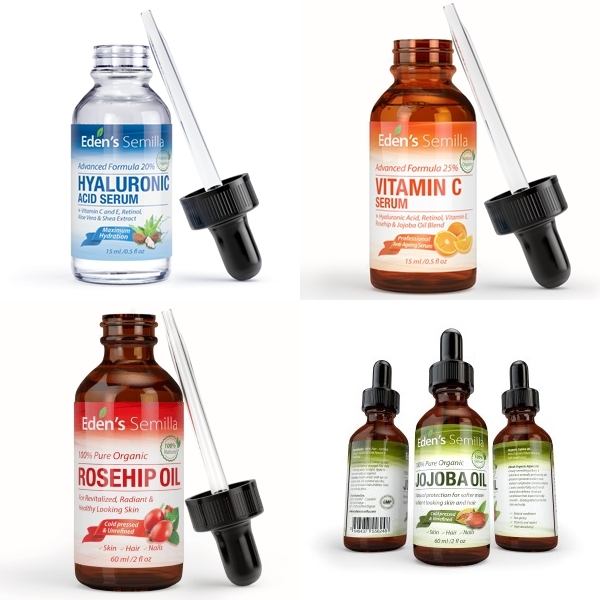 Home / SkinCare / Skincare - Eden's Semilla Range. 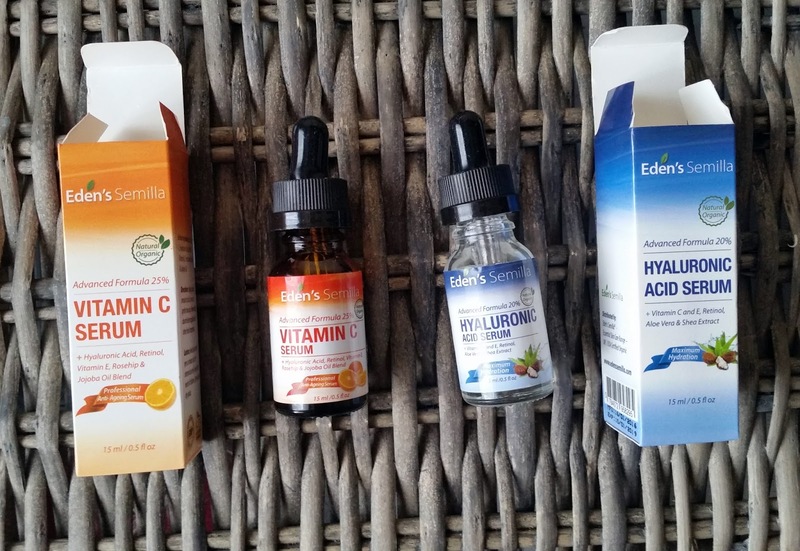 Skincare - Eden's Semilla Range. Looking after your skin and determining a good skincare routine is not enough, if you are not using high quality skincare products, your skin deserves. Determining your skin type is the best way to get started and setting yourself on the right path to achieving a positive outlook when looking in the mirror and caring for your skin. What skin type you are, will help you find products that can work to their full potential on your skin whilst also saving you money. Is your skin sensitive, dry to normal or even combination? Once you know what your skin type is, then you can proceed to reach for products that are just right for you. There is no point using a product that states ultra moisturising, if you suffer with over oily skin. Products are labelled a lot better now and state on the front of the packaging which skin type they are suited for, saving a lot of time for the consumer! Eden's Semilla offer a skin loving essential range that really is just that, skin loving and essential! I was lucky enough to be sent two products to try and blog about. 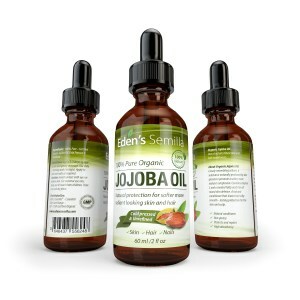 Now i will be honest, i have previously fell in love with their Jojoba Oil that can be used on your hair and skin. I haven't used it on my hair but have used it on my face, after cleansing morning and night i have seen great results. Added moisture with a healthy looking glow and skin so soft and smooth. Layering products are a great way to achieve your skin goals by adding a serum to your skincare routine followed by a moisturiser. The ingredients in your serum will help take your moisturiser deeper down into the skins layers which results in a better skincare regime. 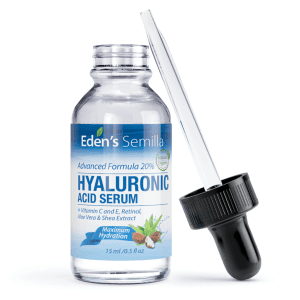 Eden's Semilla hyaluronic acid serum with active ingredients is perfect to use before any other products are applied to your face. 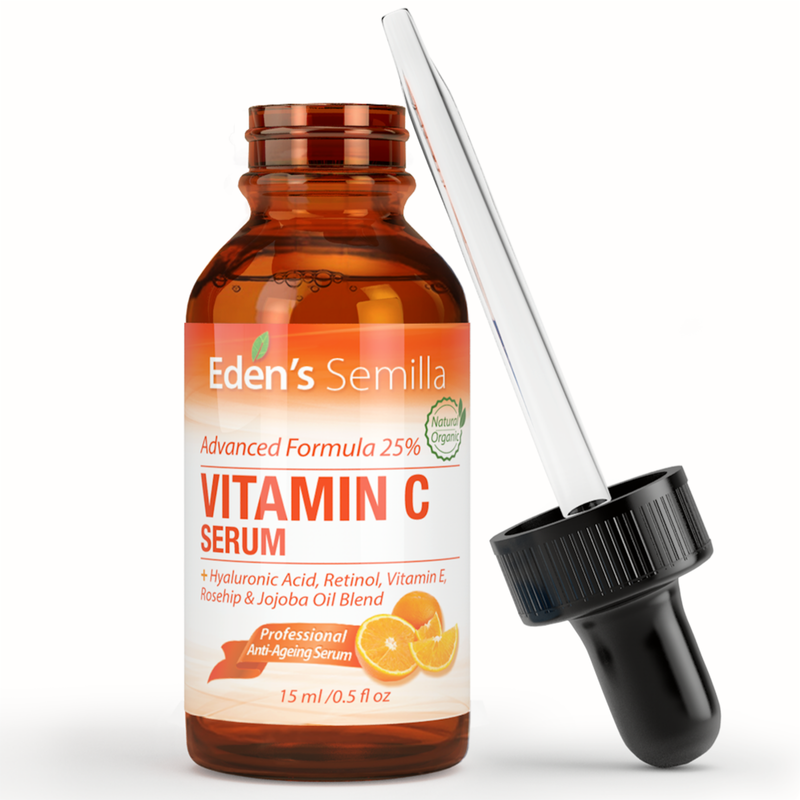 The active ingredients in this serum are Vitamin C, Vitamin E, Retinol, Aloe Vera and Shea Extract which will provide maximum hydration as well as anti-ageing to target dry skin, fine lines and wrinkles. The natural organic serum is best applied to damp or dry skin and wait for the serum to be fully absorbed before adding any other product to your skin. The dropper on the bottle is a great tool when applying the serum to your finger tips to then add to your face. The serum is of clear colour and glides over skin with ease. It is also fragrance free, which is great for the sensitive skin types who cant tolerate a fragrant in a face product. I was amazed on how quick the serum was absorbed by my skin and i felt no residue left on my skin after application. My skin feels really moisturised and hydrated with a healthy glow and improved skin tone. The Vitamin C serum is a powerful blend of natural ingredients to help rejuvenate ageing skin. Packed full of active ingredients which are Vitamin C, Hyaluronic Acid, Retinol, Vitamin E, Ferulic Acid, Rosehip and Jojoba oil. The fragrant free rejuvenating serum with anti-ageing properties glides over skin with ease and you only need a little to cover a wide area of skin on your face. Massage into the area on application and the serum is absorbed in quick time. You can then proceed to apply your other face care products. Using this serum will help your skin look brightened, firmed and restored. Both serums are available in the sizes 15ml or 30ml and will last you over a month or more, due to only using a small amount on application. Edens Semilla products are vegan friendly and are free of parabens and sulphates meaning they are produced to the highest levels of manufacturing standards whilst using natural organic ingredients. Discover natural organic skincare by heading over to Eden's Semilla Range. X Neil.